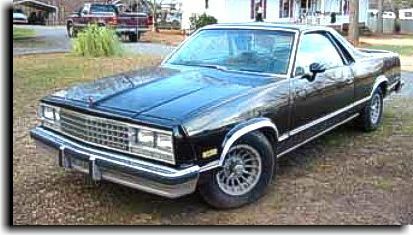 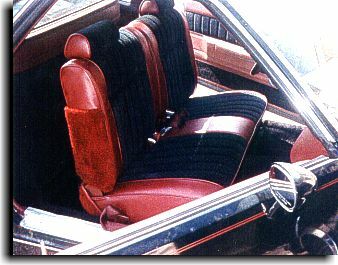 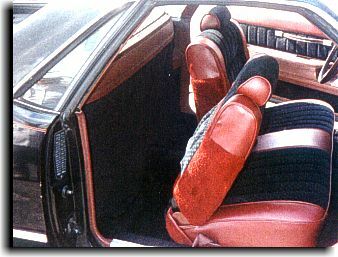 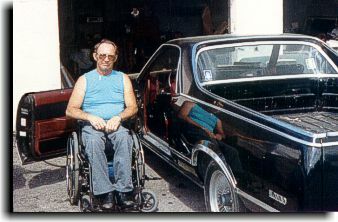 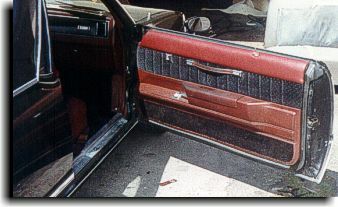 The interior project for this El Camino had special considerations with the customer confined to a wheel chair. 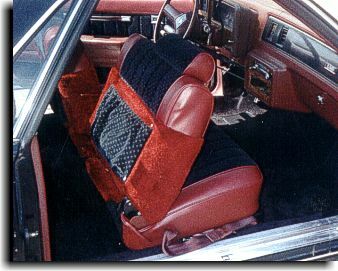 With the customer having to place his wheel chair behind his seat, carpet was incorporated into the backrest cover to take the abuse the wheel chair would be putting on the seat cover. 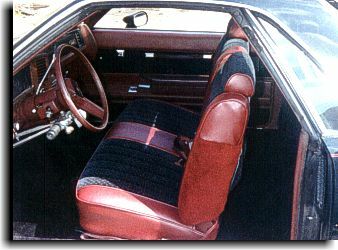 Black cut-pile carpet was chosen to match the offset black inserts in the seat and door panels.